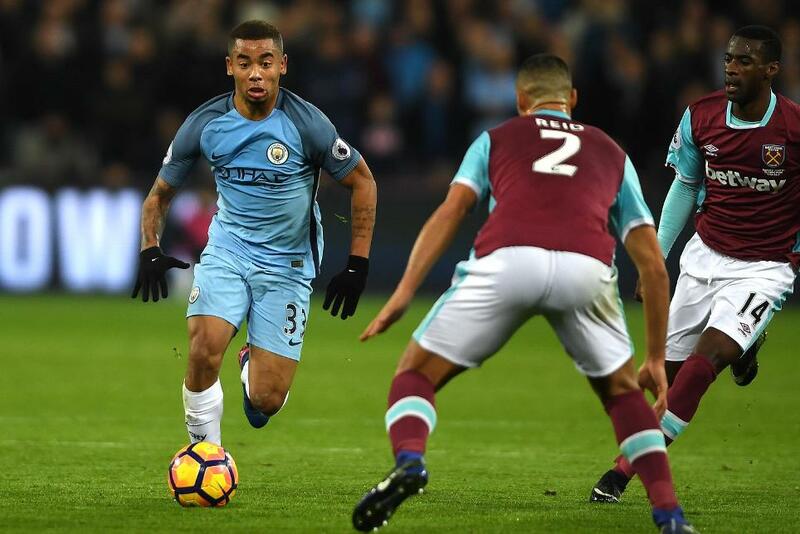 A goal and an assist from Gabriel Jesus (£9.0m) earned him his first Fantasy Premier League bonus points as Manchester City beat West Ham United 4-0 at London Stadium. 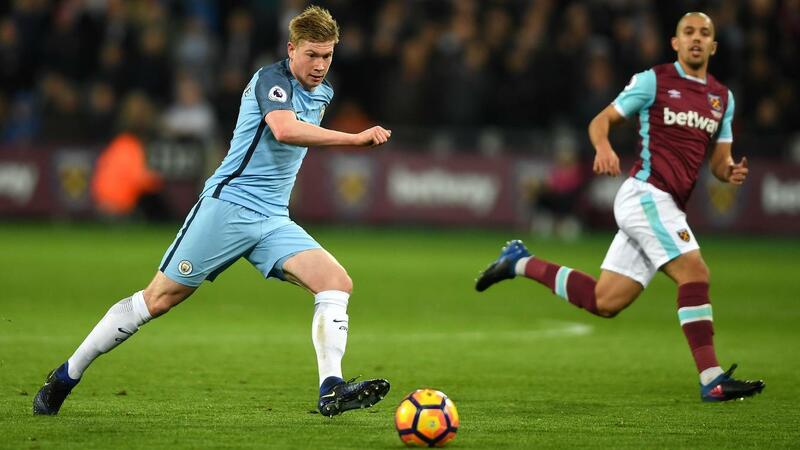 Handed a first Premier League start, Jesus opened his account for the club and created Kevin De Bruyne's (£10.5m) goal, earning 38 in the Bonus Points System (BPS). A second goal of the season helped David Silva (£8.6m) to a score of 34 in the BPS and two additional points, the Spaniard also completing 86% of 65 passes and three dribbles. Two City players shared a BPS total of 31 to earn a point apiece. Nicolas Otamendi (£5.9m) contributed six clearances, blocks and interceptions (CBI) to inspire City's fifth clean sheet of the campaign, in addition to completing 94% of his 86 passes. Meanwhile, De Bruyne scored for the second successive Gameweek and succeeded with 82% of his 51 passes. However, the Belgian's final BPS tally was reduced as he received a yellow card. The performance and 11-point haul from Jesus has immediately sparked major FPL interest. The striker has attracted more new owners than any other player ahead of Gameweek 24, with 50,000+ managers swooping to acquire him prior to Sunday's home meeting with Swansea City. Earning a first start under Pep Guardiola, Jesus ousted Sergio Aguero (£12.8m) to the bench, providing the latest blow to the Argentinian's 19.6% ownership. Aguero was backed by exactly 350,000 (8.1%) FPL managers with the Gameweek 23 captaincy, returning only a single point from an 18-minute cameo. While Aguero's stock declines, midfielders De Bruyne, Leroy Sane (£7.5m) and Raheem Sterling (£7.7m) are all showing improved form. Sterling's two assists in Wednesday's victory means he has returned in six of his last eight Gameweek starts, supplying a goal and seven assists over that spell. Sane has produced two goals and an assist over his last three Gameweek appearances as he pushes for regular starts. In defence, Guardiola’s decision to bench Claudio Bravo (£5.1m) meant that Willy Caballero (£4.7m) helped City to a rare shutout. Bravo had previously started every Premier League match since being handed a debut in Gameweek 4. Despite Wednesday's display, investment in City's assets should be tempered by the fact that they will miss Gameweek 26. Their opponents that Gameweek, Manchester United, will be involved in the EFL Cup final, forcing their derby match to be rescheduled for a later, yet to be confirmed, date. Guardiola's side could also face postponement of their Gameweek 28 fixture with Stoke City should they progress to the quarter-finals of the FA Cup, one for FPL managers to watch out for.